Cleves, December 2017 – Three Rivers Local School District received a letter from the College Board presenting us with the announcement that our District has been selected for the 8th Annual AP Honor Roll. 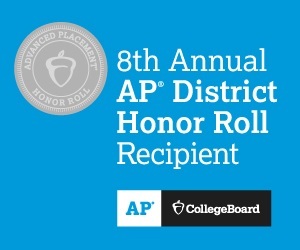 This extraordinary honor is only awarded to districts which have simultaneously increased access to Advanced Placement® coursework while maintaining or increasing the percentage of students earning scores of a three or higher on AP Exams. In the State of Ohio, only thirty-two schools have been selected for the 8th Annual AP Honor Roll, and only four hundred forty-seven within the entire United States and Canada. Advanced Placement® is a program created by the College Board which offers college-level curricula and examinations to high school students. In turn, some colleges and universities grant placement and course credit to students who obtain high scores on the examinations.